The PDC module is a single-photon detection carrier able to properly bias any silicon avalanche diode operated in so-called “Geiger-mode” which means operated above breakdown voltage (BV as high as 480V), so that a single incoming photon triggers an avalanche of electrons already large enough to be detected and counted as an electronic pulse. They also fully exploit the detector internal performances in terms of detecting the photon arrival time and are able to protect the devices from damage caused by overheating. To achieve the desired trade-off between quantum detection efficiency and dark counting rate, the over-voltage above BV is adjustable from 5V to 18V. A fast timing electronic board exploits in full the device performance in measuring the photon arrival time. By means of an easily configurable Peltier controller the module can operate devices mounted on a cooler with a temperature sensor (NTC or PTC). The detector device is protected from overheating (e.g. in case of daylight illumination) by a built-in monitor of current and temperature. A patented integrated Active Quenching Circuits (iAQC), specifically designed and optimized for photon counting applications, makes the PDC ideal for portable equipment and for all applications requiring low power consumption. 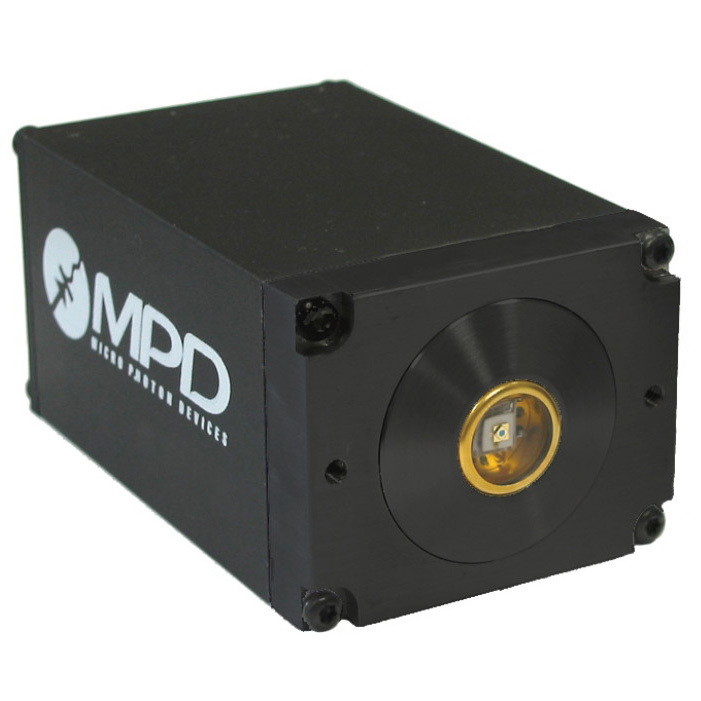 A. Giudice, R. Biasi, I. Rech, S. Marangoni, I. Labanca, G. Simmerle, M. Ghioni, and S. D. Cova, “Versatile electronic module for the operation of any silicon single photon avalanche diode,” Journal of Modern Optics, vol. 56, no. 2, pp. 317–325, Jan. 2009..